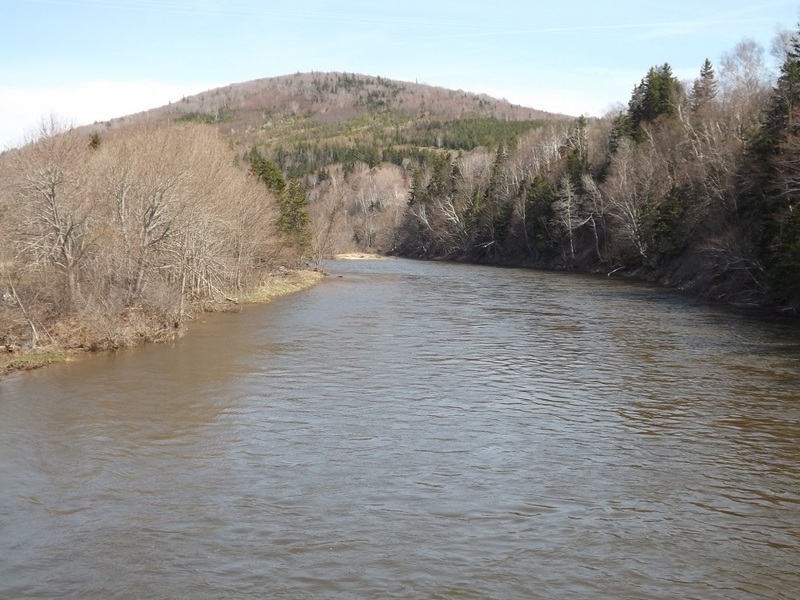 The Margaree Salmon Association is working with the Department of Fisheries and Oceans (DFO) on several projects during 2015/2016. One project is angling to capture kelt salmon. The field work portion of this project started with a meeting with DFO staff on May 12, 2015 at the fire hall in Margaree Forks. Fishing permits and logbooks were distributed to the participants during the meeting. We had 25 experienced anglers and 4 high school students available to fish for kelts the week of May 12, 2015. The water was very high and only two kelts were caught. We had hoped to recapture a number of the 48 salmon that were tagged in the fall of 2014 but did not. In response to flood conditions, on May 13, 2015 the DFO special licences were cancelled and fishing was re-scheduled for the following week. The week of May 19 saw ten experienced anglers meet and fish the river. One student also participated. The water level was still high, water conditions were cold and dirty. While only three or four kelts were caught, some large brook trout were caught in the 16 – 19 inch size. By week’s end, as water levels settled, 7 kelts were caught in the estuary by participants and non participants. Catch cannot be the only criteria for success. The Margaree Salmon Association feels that the commitment of twenty – nine anglers to work with the Department of Fisheries and Oceans in this type of research project is a strong indication of the commitment of recreational fishers to be involved in research and conservation projects. This fall we hope to assist DFO in the capture and tagging of salmon for next year’s kelt research project.